Looking after toddlers is indeed hard. They are impulsive. They run the other direction when we want them to get dressed. They throw things. They don’t listen. They ignore us and others while they are busy mastering so many skills for themselves. They need to move. They need to test limits to see how the world works. They need to test their bodies to become stronger and more capable. We have to be our toddler’s pre-frontal cortex. As my friend Jeanne-Marie says, “it’s our job to keep them safe.” They follow their urges, for example, to climb on the table and do not use the rational part of their brain to make these decisions. We are learning ourselves how to support them without taking over their ability to see if they can manage themselves. Can they climb down those stairs by themselves? How little help can I offer? A toddler is dependent on us for their survival. It will be some years before they don’t need us to provide food, clothing, shelter and daily care. Even in Montessori, we need to be available to supervise 24/7. Without a network, this feels like a huge responsibility to parents. A toddler often wants to be independent. During the first 6 years, the child gradually becomes physically independent of us. They want to do things for themselves and need to build the skills to be successful. This then can become a battle between us needing to keep them safe and them wanting to feel like capable and independent beings. It can be thankless work to look after a toddler all day. Those of us that need acknowledgment that we are doing a good job may have to wait years to see the fruits of our labour raising a child. Your patience to sit with your child as they melt down, will be repaid in trust years down the line when they turn to you for help when they are having a hard time. For those of us used to receiving praise for our efforts at work and school, can struggle with not getting any feedback. Or only getting complaints from our toddler. It’s easy to blame ourselves if our child misbehaves. When we are responsible for our toddler and then they do something like hurt another child or bite us, instead of seeing this as our child having a hard time, we can wrongly blame ourselves. When my son couldn’t sleep, I thought that I was a bad mother doing something wrong. Until I stepped back to see that I could provide a bedtime routine and a little support, but that he was his own person and I was his guide and rock supporting him. Guilt that we are not doing enough/that we are taking time for ourselves/that we are working/that we choose to stay home etc. We live in a time where there are many demands on us. Sometimes I dream that life would be simpler if I lived as a housewife in the 1950s where my role would at least be clear (ok, the dream never lasts long!). But the struggle is real – we are available to anyone via our phones at any time of the day; we have access to all the information we could possibly need; we will never be finished with our emails; and on top of that we have a child who needs us. So we can feel guilty that we should be doing more. Or that it’s bad to want some time alone to ourselves. We don’t want our child to feel pain. So we go over our boundaries to make them happy. We may struggle to set clear limits because we don’t want our child to hate us. Or it might be hard to be – ahem – consistent. And then when we give too much, we snap and shout and get angry. I once heard that if our child is suffering, we are likely too much in control. And if we are suffering, our child is too much in control. Parenting from the place in between is where a Montessori approach can help. We compare ourselves to others. Everyone on social media seems to have their lives sorted out. And we don’t have perfect lives. We have children that can be happy and laughing one minute and like a tornado the next emptying everything off their toy shelves. I guess our generation simply want it all. We want to be a great parent, contribute in a meaningful way to society, and enjoy our lives now…not just when we retire. I want you to know you are not alone. So many families I work with feel the same way. Me too. And I believe that the Montessori approach can help us find more peace and calm in our lives with toddlers. Don’t take it personally. In Montessori, we see the adult – the teacher/parent/carer – as the child’s guide. Your toddler is not trying to wind you up. If anything, when they test our limits, we can feel honoured that they trust that we will continue to love them even when they test us.I love saying, “It’s hard to see you having a hard time. I’m here if you’d like some help.” This helps us be our child’s rock able to support them, separates what is our child’s problem from what is our problem, and enables us to respond rather than be reactive. Set up a ‘yes’ space. In Montessori, we call this the prepared environment. Have at least one area of your home where your child can explore freely and safely. If you keep saying “no” to them touching some furniture or electronics, is there a way you can set up your home to remove these inviting things? Also we can set up our homes so our child can be independent. For example, so they can help themselves to a drink, reach the sink to wash their hands, have their plate and cutlery down low to be able to access them independently. We can also have a few well-selected activities at their height so they can choose from these all by themselves. Understand that toddlers have a need for order. In Montessori, we call this a sensitive period for order. They like things to be the same routine everyday and done in the same way. This may even mean that they would like the same spoon for breakfast each day. When we understand this, we can make things less frustrating for them by mostly doing things the same; or providing them understanding if this cannot happen. See your child is unique. In Montessori, we call this follow the child. This helps us stop comparing to others and what is ‘normal’. Rather we can see our child developing on their own timeline, at their own pace, with their own interests. Use information as a guide only and it’s ok to get help if your child struggles in an area, for example, verbal communication. This challenges us to accept our child for who they are. Look after yourself. In Montessori, this is also part of the preparation of the adult. If we are tired or get ill, we cannot look after our children in a calm way. So finding ways for self care does not have to make you feel guilty.It may be having a bath in the evening, making time to meet up with friends, or arranging a friend to come over so you can go out to dinner with your partner if you have one. But it can also be during the day with your toddler – having a cup of tea at hand, putting on some of your favourite music to dance to, using essential oils, and – my favourite – heading outdoors. Involve your child in daily life. 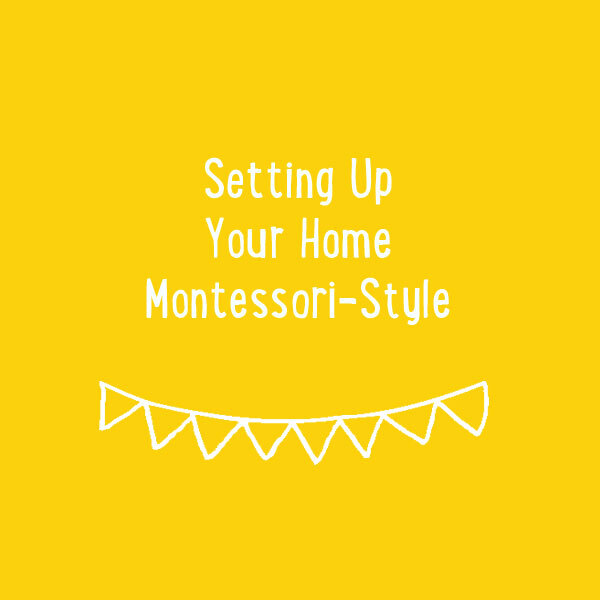 Instead of feeling like we need to entertain our child the whole day, in Montessori we involve the child in practical life. These are the things we do around the home on a day to day basis, from preparing food to cleaning to getting groceries at the store or preparing for visitors. It’s a long-term game not a short-term fix. Raising a child doesn’t happen overnight. In fact, in a Montessori approach we are often planting the seeds for what we will only see grow later in their lives. Instead of a giving them a sticker as a quick bribe, in Montessori we continually get them to recognise their own effort. Instead of putting them into time out, in Montessori we help them learn how to calm down and to make amends. Advanced tip: look at what triggers you and do some inner work on it. In Montessori, this comes under the spiritual preparation of the adult. If you find that you are triggered by your toddler’s behaviour, we can look at the root cause. Often we need to work on something ourselves, perhaps from our childhood or a strong personality trait, that is being activated by our child. For me, it was letting go of some control, that things weren’t going to be perfect. And I keep working on this and see that imperfect is ok too. The only thing left to reassure you is that the physical demands of raising a toddler and the sleepless nights will not last forever. I have two young adults who are trying to be independent in other ways and I still try to be their rock to support them. But I get a full night’s sleep and to enjoy the fruits of this parenting journey. I hope this makes you feel a little less alone and helps you come back to a simpler way of parenting, where you can drop some of the guilt, whilst still raising a curious and responsible human being. 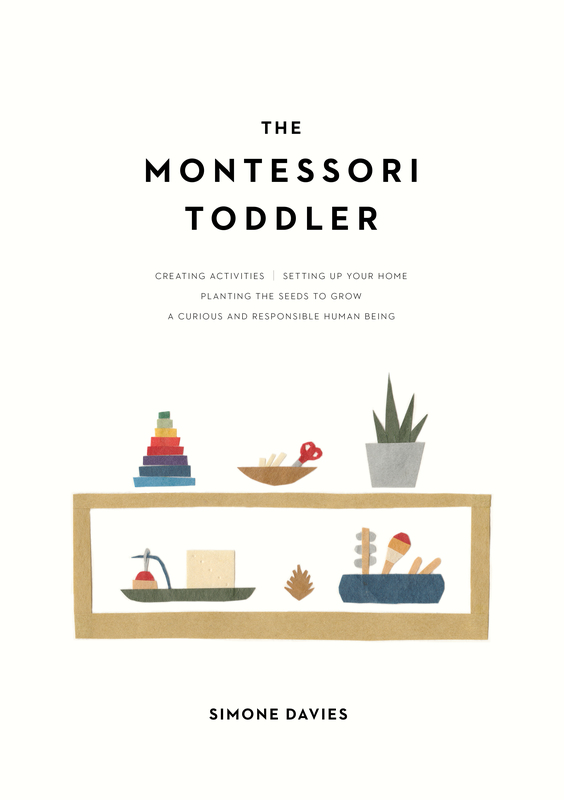 If you want to know even more about raising toddlers in a Montessori way, be sure to order your copy of my book The Montessori Toddler – a comprehensive guide to raising a toddler in a Montessori way.